In the age of the tourist trap, it can be difficult to find authenticity. At Billy Miner, our presentation is steeped in history, hearkening back to simpler yet adventurous frontier times. We invite you to come in, sit back with a craft beer and feel the rumble of the freight engines passing by on the same tracks they used over a hundred years ago! 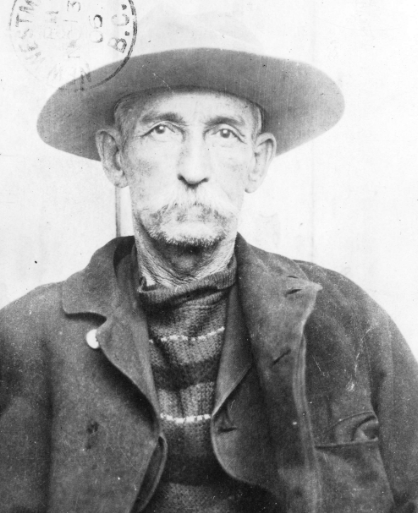 Billy Miner is often considered the last of the “old time outlaws,” yet he became known as something of a Robin Hood figure around the turn of the century. Dubbed “The Gentleman Bandit,” Miner made it a point never to rob the small folk, instead targeting large companies like the hugely unpopular Canadian Pacific Railway. Despite the audacity of his train heists, he always comported himself in a genteel and polite manner while avoiding unnecessary violence. In fact, upon his arrest in Kamloops, the townsfolk protested that such a man of character could ever be an infamous criminal. The tracks that run east to west in front of our alehouse are the very same that Billy himself would ride during his heyday. We owe our namesake to one of our town’s most colorful and infamous figures. Billy Miner Alehouse bears the marks of a truly storied past. Aesthetically, our building has all the stylistic cues that were typical of main-street commercial buildings of the day, with a two-storey wood-framed structure and a decorative parapet. Originally built as the Bank of Montreal’s third-ever location, the property survived a tremendous fire in 1932 that destroyed most of Port Haney’s businesses. When those shop owners moved lock, stock and barrel to Upper Haney, the Bank of Montreal went with them, leaving the property vacant. While it saw a period of use as a multi-residential housing for WWII veterans and their families awaiting new homes, it was eventually left to deteriorate. By 1973, the building had no cement foundation and a host of other problems. However, Don and Bernice Gehring saw potential, and bought it for $11,000. After a lengthy, labour-intensive renovation by Don himself, it was reopened as the Billy Miner Pub in 1981 and run by the family until 2002. Seven years later, the pub was again resold and transformed into the Billy Miner Alehouse! Our building has since been deemed and protected under the Heritage Act of British Columbia in 2011 in an effort to recognize and preserve our neighborhood’s history. We’re proud to act as stewards of this legacy, and strive to maintain the high standards and open hearts that have made this place a community hub for decades.